Jerusalem is of central importance to Israelis and Jews everywhere. It is a city that throughout history has been the focal point of Jewish collective yearning and collective identity. The Jewish return to the Old City and its holy sites after 1967 was the fulfillment of this yearning. No one can deny or undermine the Jewish connection to Jerusalem. Jerusalem is and will forever be the capital of Israel. Jerusalem is also a city that has deep political, historical, economic, and cultural significance to Palestinians, and deep religious importance not only for Jews, but for Christians and Muslims everywhere. Jerusalem is already a divided city. One-third of its population is Palestinian, in addition to large Palestinian urban areas lying just beyond the municipal border. The patterns of life in the city disclose two distinct populations - Israelis and Palestinians - living separate and rarely overlapping existences. Jerusalem must be re-fashioned as two capitals for two states. No resolution to the Israeli-Palestinian or Israel-Arab conflicts is possible without compromise on Jerusalem. Refusal to negotiate in good faith over the future of Jerusalem will mean the loss of the two-state solution. Settlements in East Jerusalem are and have always been about only one thing: cementing Israel’s hold on the land in order to prevent the emergence of a Palestinian capital in the city. After 47 years, a two-state solution is still possible in Jerusalem, but barely. If political obstinacy and extremism are allowed to stand in the way of compromise, or if settlement-related developments continue and succeed in taking Jerusalem off the negotiating table, it will mean the end of the two-state solution. Loss of the two-state solution directly threatens Israel’s viability as a democracy and a Jewish state. The current borders of Jerusalem have no historical or religious meaning. Shortly after the 1967 War, Israel annexed large areas of land, including a number of Arab towns and villages, to expand Jerusalem. There is nothing sacred about these borders, either to Israel or to Jews. The emergence of a Palestinian capital in Arab areas of Jerusalem, along with a special regime or special arrangements for the Old City and its surrounding area – would not undermine Israel's claim to Jerusalem as its capital. Rather, it would clear the way for international recognition of Jewish Jerusalem as Israel's capital. For the sake of Israel's security and stability – and for the health and stability of this remarkable city – a formula must be found to share Jerusalem between Israelis and Palestinians, and between Jews, Muslims, and Christians. Pragmatic, creative solutions exist to satisfy competing claims to Jerusalem and its holy sites; what is needed is the leadership, courage, and goodwill to explore them. Most of the proposed solutions for Jerusalem's future would put Arab neighborhoods under Palestinian control, while Jewish neighborhoods would remain under Israeli control. These arrangements would make Israel's capital a more Jewish city and would allow Israel to shed the burden of ruling over Palestinians, while guaranteeing Jewish access to holy sites. 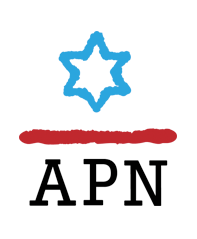 Don't miss our briefing call with Jerusalem expert Danny Seidemann or with Daniel Seidemann and APN's Lara Friedman regarding the tension in Jerusalem in 2014.